Children don’t easily outgrow the agony of being bullied. There are some significant long-term effects on their risk for anxiety, depression, suicidality, and a whole host of outcomes that can wreak havoc on adult lives. Many – if not most – adults with Asperger’s (high-functioning autism) were mistreated as children by some members of their peer-group. They may have been teased, bullied or rejected due to their “odd” behavior and way of viewing the world. As a result, these adults bear the scars of those experiences today. 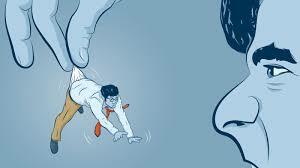 And to matters even worse, many grown “Aspies” continue to be bullied in the workplace. Social rejection occurs when a person is purposely excluded from a social relationship (e.g., a friend) or a social group (e.g., classmates). Rejection can be either “active” (e.g., bullying, teasing, ridiculing, etc. ), or “passive” (e.g., ignoring the person, giving the "silent treatment," etc.). Childhood peer-relations have been identified as one of the most powerful predictors of future mental health problems, including the development of psychiatric disorders. Social rejection is psychologically painful because of the social nature of human beings. The need for acceptance and belongingness is a fundamental motivation for ALL of us. Everyone (even introverts) need to be able to give and receive affection to be emotionally healthy. We all need (a) stable relationships and (b) satisfying interactions with individuals in those relationships. If either of these two factors is missing, the person in question will begin to feel isolated and hopeless. In fact, the majority of human anxieties appear to be due to social exclusion, which may explain why so many Asperger’s adults have anxiety issues. Due to the symptoms associated with Asperger’s, many children with the disorder are unpopular with peers, easily provoked, have a poor understanding of social cues, and experience low self-esteem. Research reveals that such children often grow up to be 6 times more likely to have a serious illness, smoke regularly, or develop a psychiatric disorder. By their mid-20s, these former bully-victims are more likely to leave school without qualifications, drift through jobs, be obese, and less likely to have friends. Some level of rejection is an inevitable part of life for all of us, whether or not we behave “oddly.” However, rejection becomes a problem when the individual is highly sensitive to rejection, when it is prolonged or consistent, or when the relationship is important. Rejection by an entire group has especially negative effects, possibly resulting in a heightened sensitivity to future rejection, aggression, anxiety, depression, feelings of insecurity, a negative outlook on life in general, loneliness, low self-esteem, or social isolation. As a therapist working with adults on the autism spectrum, it has often been difficult to differentiate between a client’s Asperger’s-related symptoms versus symptoms associated with being a social outcast of sorts. For example, many of these adults prefer to live alone, refusing to date or marry. Is this due to the fact that they are (a) “task-oriented” versus “people-oriented” and (b) more concerned with facts than feelings (both of which are Asperger’s traits) – or have they simply been rejected and ridiculed (not an Asperger’s trait) for so long that they have learned it’s much less painful to travel through life alone? Some Aspies spend most of their time alone because being around other people is just too difficult. They may feel that others are judging them for their disorder. So, they may withdraw to avoid this stigmatization. However, this social withdrawal is psychologically very costly. But, this is a two-way street: the Aspie withdraws from society, and society withdraws from the Aspie. When anyone – whether or not they are on the autism spectrum – does not have enough social contact with at least one “significant other,” it affects that person emotionally and physically. Social isolation is both a cause and an effect of mental anguish. When the Aspie isolates more, he faces more mental anguish. With more mental anguish, he wants to isolate even more. No wonder why this vicious cycle relegates many adults on the spectrum to a life of depression, anxiety, and solitude. We simply can’t continue to dismiss bullying as a harmless, almost inevitable, part of growing up. We should change this mindset and acknowledge that this as a serious problem. Your comments (see below) would be greatly appreciated. Were you bullied as a child? How has that affected you throughout your life?